Diphu Baptist Church (DBC), the pioneer church in Diphu town has celebrated its Golden Jubilee with a three-day-long programme here. The theme of the celebration is ‘Jesus Christ is the same yesterday and today,’ Hebrew 13:8. The souvenir released on the occasion mentioned that it was the few Christians, settled in Diphu serving in various government offices from 1948 to 1950, who established the Diphu Baptist Church. The Christians serving in DC office, the Education Department, Diphu Hindi Training Centre and nurses in Diphu Civil Hospital started to meet regularly in 1965 for prayer service . With the increase in number of families, the need to have a church was felt. At the annual conference of Nihang Karbi Baptist Association (NKBA) in 1968 at Kahora Baptist Church, the proposal to set up a church in Diphu was accepted. Accordingly, on May 28, 1968, the Diphu Baptist Church was established. Late John Terang, late Bapuram Singnar, Horen Phangcho, Bidyasing Timung, late Sawiluaia, late C Rongura, late Geuenson G Sangma, Parno Terang and many others were instrumental in setting up of the Diphu Baptist Church. Speaker Rev. LK Tsanglao, former missionary of NKBA at the jubilee service said, the Diphu Baptist Church at 50 has matured to send their members for Cross Culture Missions to other places. 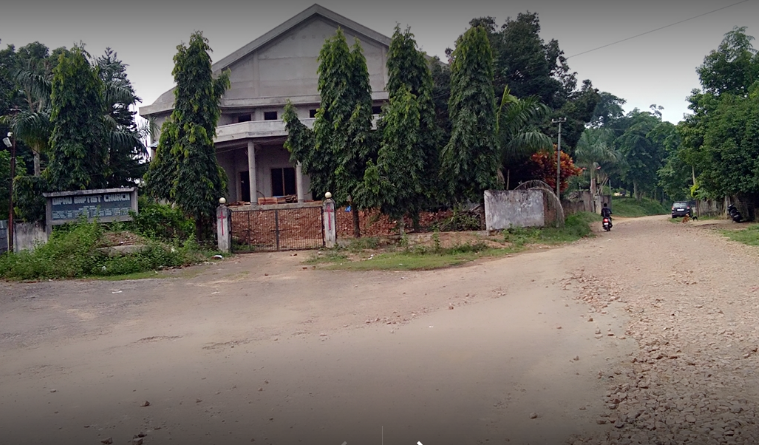 “The Diphu Baptist Church has now attained 50 years and is fully matured. The Church needs to send their members outside for Cross Culture Mission for the spread of Gospel to other people and nations,” Rev. Tsanglao said. Rev. Tsanglao said from a handful of 17 Christian families at the start, it has now increased to 180, which is truly the blessing of God. Taking from the book of ‘Revelation’, Rev. Tsanglao reminded the faithfuls about the nearing of the judgment day, where the righteous will be saved and the wicked will have to suffer in the eternal fire. In order to be saved from the eternal sufferings every faithful should be obedient and serve God. On May 25 (Friday) as part of the jubilee celebration, memorial service for founding members was conducted with Pastor Hilson Singnar as chairperson and the speaker was Rev. VL Zaithanga, PCI. While in the evening the ‘Re-union Service’ of former leaders was held with the DBC Golden Jubilee Celebration Committee, secretary Tendon Terang as chairperson and gospel message was brought out by DBC Golden Jubilee Celebration Committee, chairman, Rev. Khoyasing Ronghang. On May 27, the ‘Re-union Sunday’ for former DBC members will be held. In this service, fellowship members of DBC, who have now become full-fledged churches, have been invited. The churches invited in the Re-union Sunday are City BC, Klirdap BC, Upper Ok-kehai BC, Langtibuk BC, Rongchingdon BC, Achik BC, Diphu Mizo Presbyterian Church and Diphu Town BC. Duarbagori MAC Richard Tokbi, executive secretary, NKBA Benting Teron, former missionary from Mizo Presbyterian Synod, Aizawal, Mizoram and former pastor, Union Church, Diphu Rev. Rokhuma, Pastor, DBC Hilson Singnar, church pastor Hilson Singnar and NKBA officials attended the celebration.